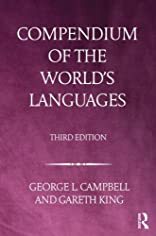 This third edition of Compendium of the World's Languages has been thoroughly revised to provide up-to-date and accurate descriptions of a wide selection of natural language systems. All cultural and historical notes as well as statistical data have been checked, updated and in many cases expanded. Presenting an even broader range of languages and language families, including new coverage of Australian aboriginal languages and expanded treatment of North American and African languages, this new edition offers a total of 342 entries over nearly 2000 pages. Drawing upon a wealth of recent developments and research in language typology and broadened availability of descriptive data, this new incarnation of George Campbell's astounding Compendium brings a much-loved survey emphatically into the twenty-first century for a new generation of readers. 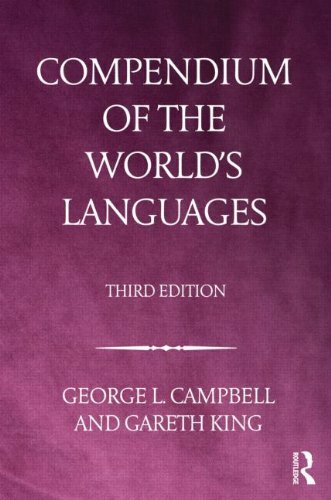 Scholarly, comprehensive and highly accessible, Compendium of the World's Languages remains the ideal reference for all interested linguists and professionals alike.